Erica Bunker | DIY Style! 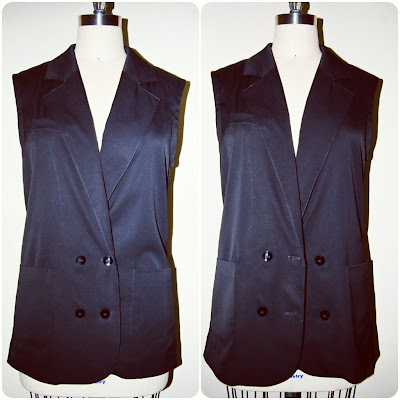 The Art of Cultivating a Stylish Wardrobe: Review: Simplicity 1756 | A Sleeveless Blazer! If you do not yet own a sleeveless blazer, run... don't walk to the store or your computer to purchase your pattern. 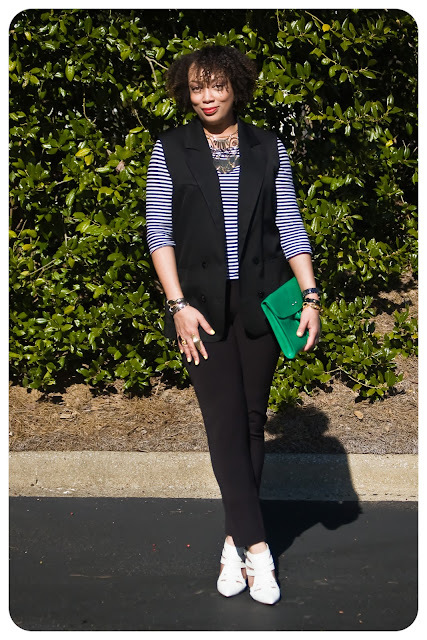 You do know what a sleeveless blazer is? They used to know be known as a... you guessed it, a VEST! The pattern I selected is Simplicity 1756, from Cynthia Rowley. For this project, I was inspired by Balenciaga Spring 2013... the ads were fabulous. I chose a Mood Fabrics black Italian cotton suiting that has a smidgen of stretch (cotton/lycra and it's 64" wide). This fabric has a medium hand, a fabulous drape and is lightweight enough for warm weather garments. And what really impressed me is how beautifully the fabric pressed and most importantly how little it wrinkles. At such a great price, this will be my go to fabric for basics. 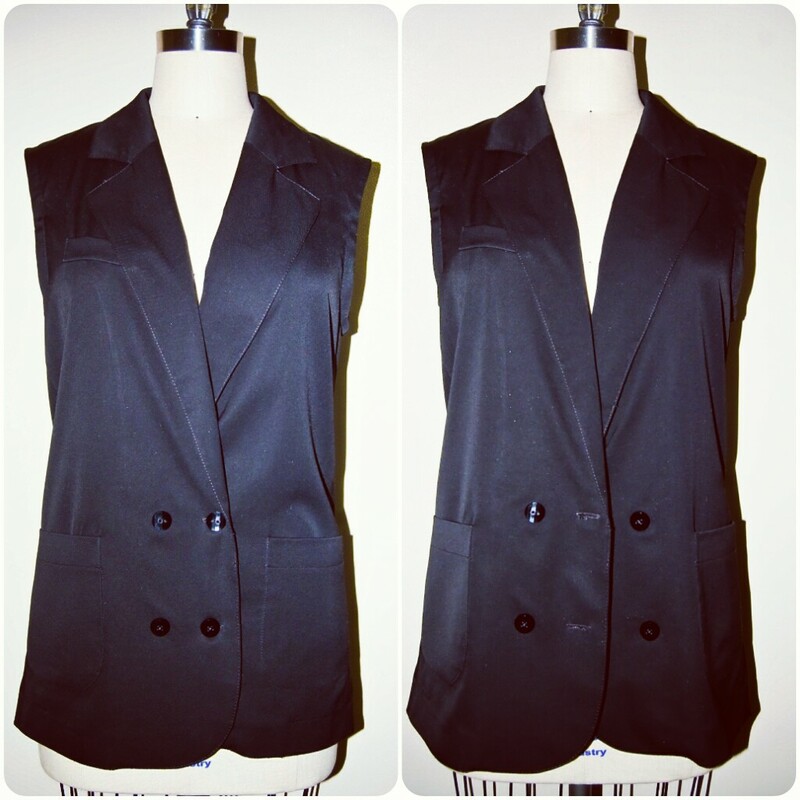 I sewed this unlined sleeveless blazer straight out of the envelope. But I did discover that it has a very slim fit through the hips. So I'll more than likely wear it unbuttoned all of the time. This is a great wardrobe addition and I would love to have one in white too! okay running to get my pattern! Love it! Very nice - love the back vents! Mrs K, I like the vents too. Very pretty, love the way it drapes. I saw this on Instagram - it's fabulous. I love the pairing with white shoes! Looks great, I like the length and style. Once again a fabulous job. It's not too often you can sew a pattern straight out of the envelope! 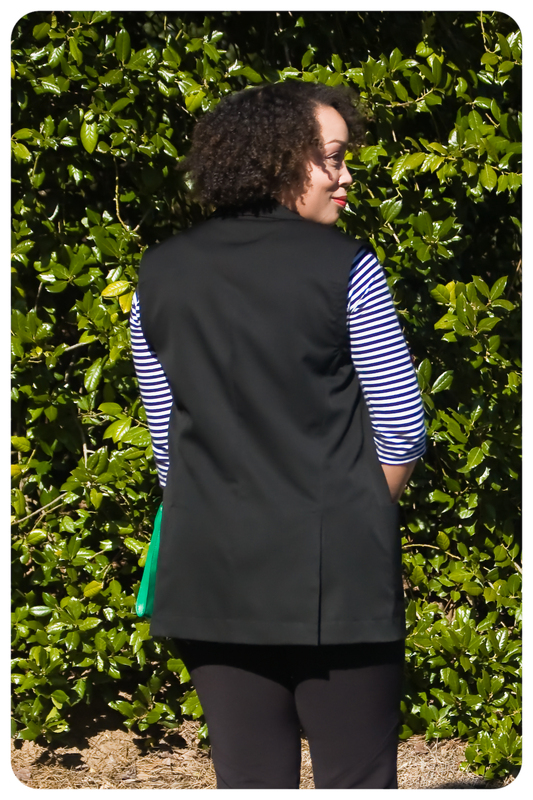 I love this sleeveless blazer, I've been wanting to see a couple up in different colours as I'm sure they'll be a great summer staple! Another garment that looks great on you! 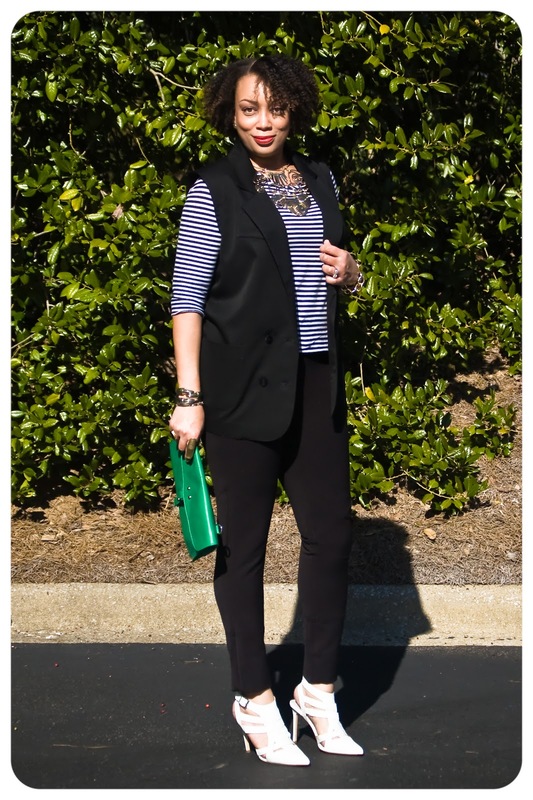 I like the casualness of a vest, with the tailoring of a jacket. Really nice! Looks wonderful and really smartens up a casual t shirt. Your finishing work and styling always me the most basic things look really, really amazing! Love this! From one seamstress to another...you got skills!!! I love your craftsmanship. Keep up the great work. 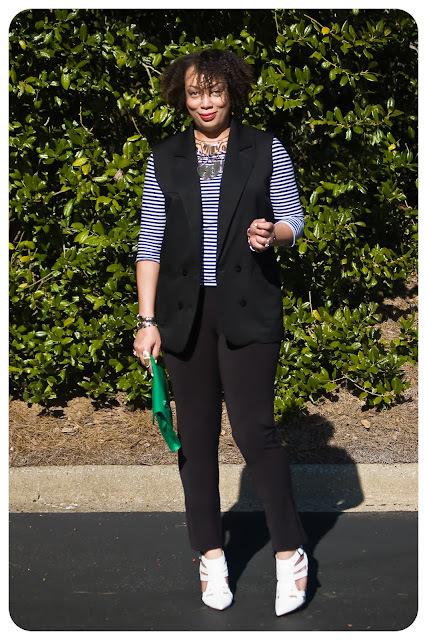 You inspire me to finish my sewing projects!